Blogger is a Free blogging platform provided by Google. 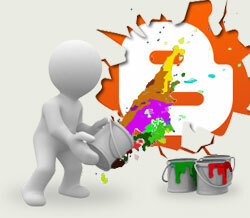 Millions of bloggers from all over the world prefer to design their blog in Blogger. They feel it is very comfortable tool to manage their blog. To create a blog in blogger one just need a Google’s account. In this post I will try to explain you how Blogger is also best for creating a website. First of all I want to say, use of blogger for commercial purposes needs to be avoided. Here commercial means Medium or Large scale companies not small business units or shops. Unlimited bandwidth! Google provides unlimited bandwidth to Blogger Blogs even these are being used for commercial purpose. Where as Bandwidth of WordPress/php/HTML design websites depends upon our hosting plan. More Secured! Yes there are no possibilities of hacking of our account through any tools. 100% up-time of server! Most of the hosting providers assure us 99.99% up-time. But the success rate may be around 80-90% only with economy packs. Super Fast! Google’s rocket speed servers still trying to increase their speed. User friendly! One can easily manage their Blogger account with a minimal knowledge. Where as Your website designer needs to train you on his customized CMS before you launch the website. Easy Templating! Thousands of Blogger templates and widgets are available in the web to use with beautiful designs. Of course, if you want to use them for commercial purposes you need to consult a Good web developer. Use of these templates are mainly useful for their respective template designers rather than you because there templates might have hidden links or scripts to directly benefit them. Earning money! Google’s adsense account can easily incorporated into your Blog. Where as code needs to be copied and pasted at respective areas for other CMS platforms. Google have right to terminate your blog or account at any point of time if it feels your blog is against the policies of Google. Many dynamic scripts can not be incorporated. Less chances of SEO… !!! We at Jayati Creative created a special Plug-in code to make Blogger based websites or Blogs to compete in Google or other search Engine Rankings. This code will be included in your new or existing website/Blog made in Blogger. There are many proofs on how our code is performing in SERP. If you want this SEO Plug-in for your blogger based blog you can contact us.